One summer morning, a huge elephant seal swam into a busy harbour. He was looking for a sheltered beach. Soon he found just the right place. He heaved himself up onto the sand, and flopped down in the sun by a sea wall. Then he closed his eyes and went to sleep. Soon cars and people crowed all the nearby streets, causing major traffic jams, just to see the seal. Most people just stood and looked at the seal but some poked him with sticks and threw things. 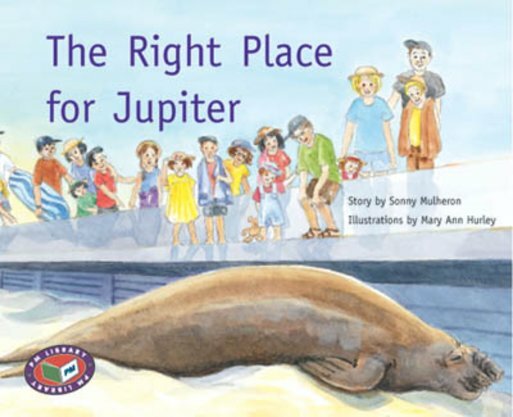 Will Jupiter the elephant seal be safe on this crowed beach?